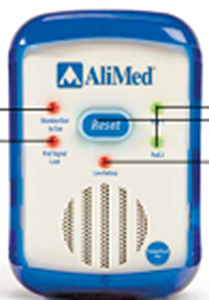 Cordless Sensor Alarm - Alarm with Chair Pad,The cordless alarm provides wireless signal to the caregivers. Can be placed on wheelchair. The cordless alarm provides wireless signal to the caregivers. Can be placed on wheelchair.